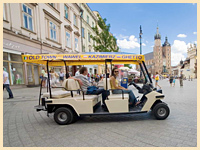 Tour this unique and picturesque city with our battery-powered buggies, equipped with an audio system with 12 language version of the tour, as well as foil covers protecting you against wind and rain. Within a short time you will see the most beautiful, extraordinary and magical nooks and crannies of Krakow. Places where Nazi made a Ghetto, and where Oscar Schindler’s factory is. During the trip you will be able to listen to the history of Krakow in a language version you select. While sightseeing we stop at scenic points, so that you would be able to take a photo. 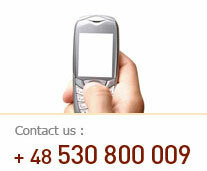 We are at your disposal 7 days a week, until late evening hours.